We support the development of new educational resources for activists and organizers, and publish these through ICNC Press. The Path of Most Resistance: A Step-by-Step Guide to Planning a Nonviolent Campaign is a practical guide for activists and organizers of all levels, who wish to grow their resistance activities into a more strategic, fixed-term campaign. It guides readers through the campaign planning process, breaking it down into several steps and providing tools and exercises for each step. Upon finishing the book, readers will have what they need to guide their peers through the process of planning a campaign. This process, as laid out in the guide, is estimated to take about 12 hours from start to finish. The guide is divided into two parts. The first lays out and contextualizes campaign planning tools and their objectives. It also explains the logic behind these tools, and how they can be modified to better suit a particular group’s context. The second part provides easily reproducible and shareable lesson plans for using each of those tools, as well as explores how to embed the tools in the wider planning process. The amount of English-language literature in the field of civil resistance has rapidly expanded in recent decades, while the demand for materials in languages other than English has dramatically risen. This glossary of over 150 terms is created to help make this knowledge available to people around the world. Its primary goal is to help with the translation of information on civil resistance from English into other languages. We also expect other readers will also find value in it—a great deal can be learned through deep understanding of the terms in this field. For eleven straight years, freedom and democracy has declined around the globe. The world is in a slow-moving crisis, with authoritarians playing offense and adapting their strategies to prevent and counter civil resistance. Meanwhile, populists are also trying to drive popular discontent and use it for their own personal gain. Civil resistance movements must adapt their strategies in the face of these realities, and new thinking is required. Liberating Politics aims to take the best insights from scholars and grassroots practitioners over the last decade and make them available to anybody who is preparing for or following the next wave of nonviolent resistance movements. 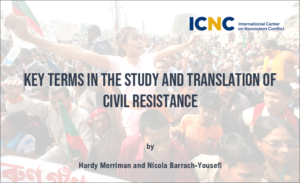 Research in the field of civil resistance has progressed significantly in recent years, but far too little of it has been accessible to activists. 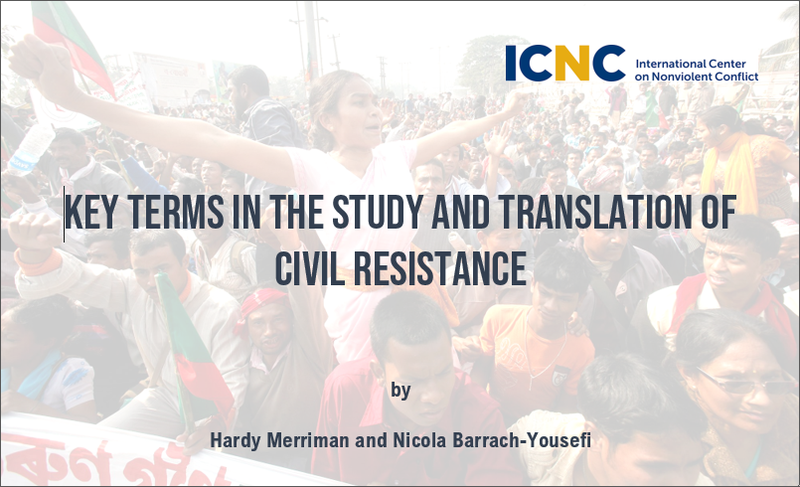 Using data and examples with diagrams, photos and other visuals, this book will provide up-to-date understanding of diverse aspects of civil resistance and practical insights about waging nonviolent struggle, drawn from cases around the world. It will be available online for free download and in hard copy for a low price.